Tonight, American Ballet Theatre principal Misty Copeland will debut on Broadway in On the Town, as the aspiring Broadway dancer, Ivy Smith (AKA Miss Turnstiles). Broadway, eat your heart out. Here’s a peek. I love seeing ballet professionals show up in other venues, on unfamiliar stages. Misty Copeland is showing up everywhere these days, including on the library bookshelf, with her fascinating memoir, Life in Motion: An Unlikely Ballerina. (Read it. Loved it. Recommending it. Buy it here.) But here on Broadway, her role is not as ground-breaking as I’d imagined. Turns out that New York City Ballet principals Megan Fairchild and Tiler Peck have both performed this role. Then there’s Robert Fairchild and Leanne Cope, from the New York City Ballet and the Royal Ballet respectively, in An American in Paris. 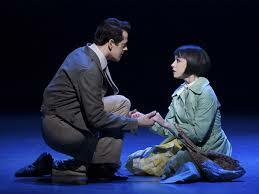 Both were nominated for a Tony award for their performances. Great article about them, choreographer Christopher Wheeldon, and the production HERE. I myself was smitten with acting through my adolescence, spending more time onstage through theater than dance, truth be told. 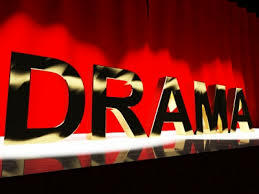 I thought it was in my cards to be an actress; I entered university as a theater major. 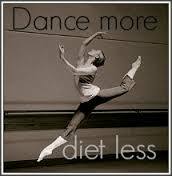 Now I’m wondering how many ballet dancers share that desire, that impulse. Dancing and acting aren’t all that far apart, actually. The desire to be performing onstage, inhabit the dramatic, take on a different persona, is what propels the artist in both situations. Best of luck to you tonight, Misty. For this one time only, I will be wishing a ballet dancer “break a leg” (and not the ballet world’s “merde” because, why on earth would you want to tell a dancer to break a leg, and ah, there you have it, the superstition of the ballet and theater world). *Editor’s note on Wed Aug 26th: Woo hoo! She’s getting great reviews of her performance! Read one such review from the New York Daily News HERE. This entry was posted in Ballet and tagged ballet dancer on Broadway, Christopher Heeldon, Leanne Cope, Megan Fairchild, Misty Copeland, new ABT principal dancing on Broadway, New York City Ballet dancers on Broadway, On The Town, Robert Fairchild, Tiler Peck on August 25, 2015 by admin. A common question I get asked goes something like this: I’m taking a ballet class again after many years. I’m not even sure what to wear as an adult, or what to bring, What should I wear or bring, so that I fit in and don’t stand out as oblivious? Okay, a valid question, and response on clothing first. In adult ballet classes, fortunately, almost anything goes. You can wear yoga clothes. Leggings. You can wear sweat pants and a tee shirt. (Guys: consider a dance belt.) But if you [females] want to make that extra effort to blend in, a few core items can help. Black leotard, black leggings that go over pink tights, or you can skip the pink tights (or the black leggings) entirely. Maybe, if you’re like me and have a big waist and a bit of a belly, you’ll want something to break up the action around the waist. A pair of short shorts or a little chiffon black skirt (more on the skirt later). Moving on to the bag, this entity that will contain everything you need to instantly fit into any ballet class in the world. (And I mean that literally. Paris ballet class anybody?) Let’s start it off with the dance bag itself. For the dedicated ballet dancer, a good bag is a must, and becomes the most important thing you will carry around all day, next to your wallet and phone. Questions you might be asking: does the adult beginner need such a bag? Can it be their gym bag? I’m a bit of a gym rat, and I will argue “yes” on the former, and “maybe not” on the latter. I keep my two bags separate. My gym bag is bigger because it has my aerobics shoes and room for a wet towel post-shower, and smelly workout clothes. It can double as an overnight bag. 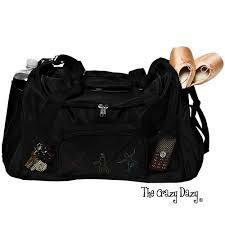 My ballet bag is black, and could double as an airplane carry-on bag, the smaller sized type. It feels more “ballet bag” to me than gym bag, but in truth, there’s zero difference. Bring the same one to the gym and voila, it’s a gym bag. Ballet shoes, preferably pink, and note: don’t buy them too big. They should fit like a glove. Hair things: bobby pins, hair pins (there’s a difference) ponytail elastic, comb/brush, cute little clip to help put your hair up because, hey, it’s pretty, and that’s part of ballet, too. Snackies. Protein or granola bar (my fave: Luna bar, salted honey peanut flavor) or individual bag of nuts and/or dried fruit. A little “repairs” kit that includes safety pins, Band-Aids, fingernail (or, in this case, toenail) clippers. Nothing can take a bite out of the enjoyment of a dance class more than a toenail that’s digging into the skin of the toe next to it. Fuzzy micro-fleece socks for the winter season. This is something new I’ve done since I returned to dance as an older adult and which I love. Slip those things on before class and during the first part of barre while your feet are warming up. It keeps them from cramping as you focus your muscles/energy on pointing those toes like mad. Throw in a skimpy sweater to serve the same warm-up purposes. Okay, that’s what’s in Classical Girl’s dance bag. It does the job and has kept me safe for a dozen years as an adult ballet student. Now if you’re an adult beginner getting ready to take that first class and this list hasn’t covered everything, you can find some great, comprehensive advice over at Dave Tries Ballet. Check out his post HERE. This entry was posted in 10 Things, Ballet and tagged adult beginner in ballet, Dave Tries Ballet, Discount Dance Supply, The Crazy Dazy, what dancers keep in their bag, What should an adult beginner take to ballet, what should go in a dance bag, what to bring to ballet class on August 7, 2015 by admin.